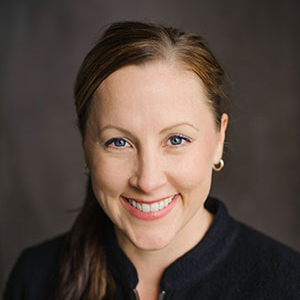 We recently co-hosted a Q&A webinar with Paul Axtell, and didn’t know exactly what to expect. He gave such a great presentation – useful tidbits about meetings, great conversations, and life in general - that we decided we owed it to our audience to share. Watch the recording, or read below for excerpts and the transcript from the webinar. If you’re willing to be mediocre, then you’ll be mediocre. If you’re interested in being remarkable, it’s not that difficult. 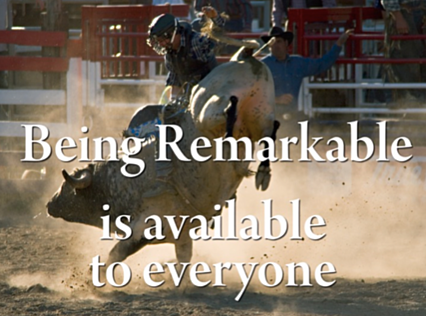 Being remarkable is available to everyone. There are a few people who are super-talented, but for most people it's about getting enough deliberate practice in. Tiger Woods has said himself he is not that talented, but he got 10,000 hours of deliberate practices under the eye of somebody who knew what they were doing before he was 12. You can be remarkable if you combine these 3 elements: attitude, preparation and work ethic. If you have those three things working for you, you'll separate yourself from everybody else. You can choose your perspective. Paul told a story about a person that needed help when they didn’t think they’d receive it. The person they asked for help responded with the words “I'd be honored.” With this one shift in perspective, you can change everything. The person that was asked also made sure the task was done with precision and great care. Spend the extra time to get things right the first time - it usually doesn’t take much extra time and it matters. William James American philosopher said “the beauty about being human being is you can change your mind.” Anytime you're not looking forward to something, find a new perspective. Meetings matter. They are high leverage. If you choose to call a meeting, you are responsible for the time and talent in the room. If you choose to attend, you need to take total responsibility for having the meeting turn out even though it's not your meeting. Takeaway: Effective people are always working from a powerful perspective. Two important things for meetings are being present and being productive. In a broader sense, you can see that our ability to be present is pretty much eroded because of life’s distractions. Beginning with the television, every time we've taken a leap forward in technology we've taken a cut in being present. Research shows only 2% of the people in the world are really good at multitasking. Actually it's a misnomer, it’s simply shifting your attention from one thing to the next as quickly as you can. Examples: Dirty dishes, laundry, unfinished house projects, not caught up on bills. Most people have 70-90 small incomplete items in their life at any given time. Takeaway: Part of our beginning to be present is identifying and noticing where we’re distracted and learning to manage our life in ways that are less distracted. What are you producing when you speak? 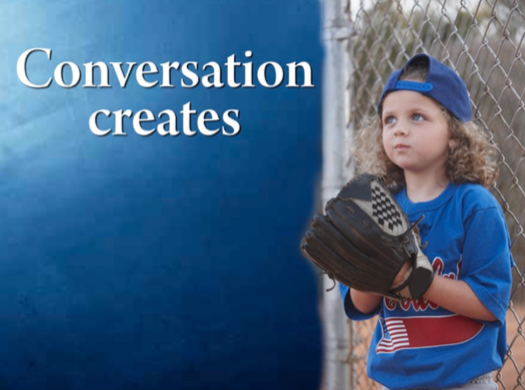 As children, we learn through the conversations we have. If we were told that “boys don’t cry” or “girls can’t play sports,” this shapes our perspective and the people we become. Takeaway: Conversation matters. Notice what conversations you're putting into the world. Life is a series of conversations. Relationships are a series of conversations. Take the 8 relationships that are most important to you, and identify the last 5 conversations in that relationship. What’s the pattern? How do those conversations go? This will give you a snapshot of that relationship. If they were all about sports, that’s not much of a relationship. The beauty of this is that if you change the conversation, you change the relationship. A meeting is just a series of conversations. For any meeting, if you’re not sure how it’s going to go or the best way to design it, just decide which conversations you're going to have and the best way to have them. Takeaway: If life is a series of conversations, you can change your life by changing the conversations you have. Systems, not goals, make things happen. It’s not enough to have a goal. You can’t use will to make everything happen – you need a tool, a system, or a structure. Look at anything you're not accomplishing in life, and ask “what system would allow this to happen?” An executive coach can be a system. Or a personal trainer. The Starbucks drive-up window is a structure to make things happen easily. Takeaway: Systems help you achieve your goals. Difficult conversations are less difficult over coffee. They need to be working on the relationship before they need it. Takeaway: From a networking, difficult conversation, or momentum point of view, ask yourself: with whom might I have a cup of coffee with today? Conversations are the way life gets carried out. After your skill set – accounting, IT, engineering - the only thing that will set you apart in an organization is your ability to convene a small group of people, manage the conversation, and make progress both in a meeting and after a meeting. 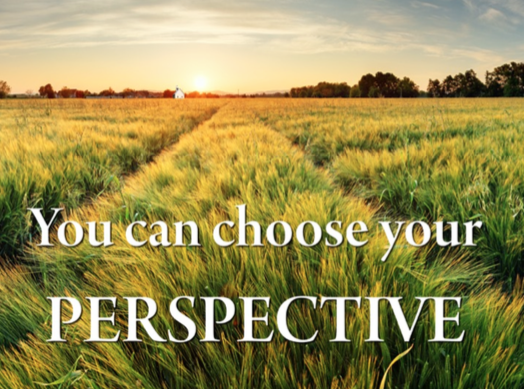 Perspective matters – you should always speak from an empowering perspective. It’s very possible to be remarkable. If you get on this path, you’ll set yourself apart - most people are OK with being mediocre and are doing just enough to get by. What advice do you have for people who lead public meetings that involve people from many different organizations (public hearings, government agencies, community organizing groups, HOAs)? You have to be much more deliberate and pronounced about how the meetings will be run. You have to know how people are going to be called on and what's expected in terms of how the conversation will be managed. You also have to train the people who are listening to not be defensive. Whenever group size goes up or it's an emotional topic, you get much more deliberate about how the conversation is going to unfold. You would also make sure that the person who's managing the conversation is really good, probably somebody that’s not involved in the content. It's very difficult to give input to content, respond to content and also manage the whole sequence of who will talk, when and how long, who will take questions, who answers them, etc. The most important thing is to train the person who's leading the conversation about how to deal with questions. People respond to those who are able to manage difficult conversations on their feet right in front of others. Many top managers have given up on this, but in large group conversations, you can add momentum to an organization quickly. If you can have a conversation with 60 people at one time, and that conversation gets across the values and ideas you want, you really move an organization forward. There’s a small piece, too, which is knowing what your own mechanism is when you take something personally and being able to step outside of that and choose a response different than the one that you developed when you were 5, 6, or 7 years old. One thing that gets in the way of meetings is that people say something and then somebody else gets defensive about it. Now you have two people who are not connected in a conversation, and that tends to get everybody on edge. This is one place where you could hire a professional facilitator who is really good at large and public groups. Resource recommendation: The International Association for Public Participation is a good source for learning more about ethics and values for conducting public meetings. You talk about being remarkable on a personal level. What do you recommend for organizations that want to make being remarkable a fundamental part of their culture, and what would you focus on first? Part of leadership is putting conversations into the organization don't currently exist. This requires repetition. Leaders say it, and people think it, when actually that's not what they mean - what they really want is a bias for action. They want movement; they don't want people waiting. They want people to take intelligent risk, but basically they’re looking for action. In most organizations, leaders are interested improving on the percentage of things that we do that we said we're going to do – the say:do ratio. In every meeting, you come up with set of actions. In order to be a powerful and effective group, 85% of those actions need to be completed on time as promised, or you'll start to erode the power of that group. One thing to ask is “Are our conversations consistent with being remarkable?” Leaders could measure in terms of value or in terms of actions to track and measure. There are 8 or 9 elements of being remarkable that an organization probably should identify. One element is being on each other’s side or having each other's back - acting consistent with each other being successful. Another important thing is for staff to be on the side of management or leadership. My point of view is that if you're not on the side of management or the leadership of your organization, you should leave. It’s in your own best interest and it goes back to the whole idea about resenting somebody. If you resent the company you work for or the people who lead your organization, then you should notice who’s suffering. It’s not the organization that’s suffering - you are suffering. The company also needs to be working on something that people see value in, and staff members should have access to the leadership. They should be able to ask anything. One of the templates I wrote with Lucid was about clearing – this is an important process. The University of Chicago did research that said students who clear their jitters do 30% better on tests than people who don't. Also, athletes who clear before they perform do better. Clearing is fundamental to people getting over things. Author W. Timothy Gallwey has the fundamental question: Is there anything at all about which that you are curious, wondering, anxious or concerned? If so, please ask. You can ask anything at all and I will tell you the truth. If I have any concern about your performance, I will tell you the same week. With those two agreements, and that would set that relationship up to be remarkable. Why do you think process skills are not taught in business schools or other professional training and learning settings? In a university setting, it’s too applied - there’s no time in the curriculum. Universities are more into the theoretical, and these skills are too practical. If you look at the whole field of meetings and leadership competencies, meetings and process skills are not on the list. Somehow we just assume that everybody automatically knows how to do meeting setup and has process skills. Or, we decide to hire an outside facilitator. First-time supervisors may be the toughest job out there. We give them no skills to manage conversations, and yet they can't motivate people because there are no consequences. The only thing they can do is talk to people, and they either are having conversations that move things or that set them back. We're not spending any time training supervisors in how to listen, manage conversations or handle complaints. Somehow these skills just haven’t gotten onto the list of leadership competencies. You can learn all kinds of skills, but the real question is: How many hours of deliberate practice have you had in difficult conversations? I studied all the top executive schools, and they're more interested in case studies than how you handle complaints. Probably more important is that daily conversation with your teenager or somebody who works for you – those are the conversations you need to master. Do you have any recommendations for learning systems or developing process skills in business or in personal life? Are there any resources that you would recommend? Your best resource is everyday life. If you want to get better at meetings, pick something to watch in every meeting, and do this for 2 or 3 weeks. Notice every time the conversation goes off track – and listen for the sentence where it goes off track. Train yourself to hear when a conversation changes, both at work and at home. Notice who is not yet in the conversation but looks like they'd like to get in. The whole idea of noticing who in the world is not included, on the outside, or not yet participating is pretty important. She pointed out a number of kids, and now forever she's going walk onto the playground and look around to see who's not playing with somebody. I want her to have that ability when she's 24 and starts to work. Notice when a conversation reaches a place where it should probably be ended. All conversations have a certain aliveness and energy to them - when everything has mostly been said, you can feel the energy dissipate. Look for commitments that are partially expressed that have not been pinned down. If you leave a conversation without a specific commitment, nothing will happen. Notice interruptions. Who interrupts who, what happens to the conversation that was interrupted, and what happens to the person who was interrupted? If you do that for 2 weeks, you will notice interrupting everywhere in the world. The best way to learn process skills is to pick the key 7-8 variables that have the most impact on a conversation, and spend two weeks noticing each. If you notice one of the things, you now have the choice to do something about it. From a leader’s point of view, you and I are better for being watched. You do your yoga exercises better being watched, I interact with the grandkids better being watched, etc. If leaders want to get a better culture around meetings, they should ask somebody to watch them in every meeting and give them feedback. Meetings will improve because they're being watched and they're going to be working on something each time. At home, the number one perspective that gets in the way of us being remarkable is that we take things for granted – people, situations, etc. Anything we are familiar with in life we take for granted, we’re not attentive to it, and we make mistakes. People make mistakes and say things they don't mean more when they’re at home than when they’re at work. If you treat everything in life like it matters, you'll be remarkable. Don't take anything for granted, don't do enough to get by, and don't just go through the motions. prepare for meetings, be on time, no multitasking, no distractions. Participate in a way that adds value to the conversation. Look out for those who are not in the conversation. Make commitments and then keep your word. Do all of this and you'll be pretty remarkable. Resource recommendation: The Advantage by Patrick Lencioni has good information about how to structure your team meetings so they're successful. What challenges do distributed meetings provide for meeting designers and leaders, and how are they different from in-person? Process becomes more important with distributed teams, and you have to be more deliberate. Additionally, the quality of the relationship that walks into the meeting determines the quality of the conversation in the meeting. How do we build relationships with each other when we're not face-to-face? Set a protocol that the meeting conference lines are open 10 minutes before the meeting starts, and that somebody is designated to be there to greet people and interact with them. Set aside the first 10 minutes at every distributed meeting for people to connect and share what's going on in their country and/or projects. Even a small slice of time – say 10 minutes for a two-hour meeting – starts to build connections. Decrease the number of agenda items, particularly for people from other countries who don't have English as a first language. Add 20% of additional time to the agenda for more deliberate checking with people to see if they're clear. Create a deliberate method of keeping track of who's spoken, who you're going to call on and who you’re going to invite into the conversation. Let people know how that's going to work. When I lead virtual meetings I have a chart by my side that has everyone’s name and where they're physically located. I also know for every topic who I want to start the conversation, who I want to check in with, and who I want to make sure to check in with before I leave the topic. I also put down a mark every time somebody speaks so I have a quick visual of who’s in and who's not been in the conversation. I also think an agenda that allows people to follow what the conversation is going to be is pretty important. Lastly, I ask everybody who is in the same room to be very vigilant about side conversations and multitasking. If you have an individual calling in and they can hear the chatter, they don't feel included. Have you ever worked at a company or organization that did meetings really well, and if so, what did that look like? The answer is no. I have never seen a well-run meeting unless people were trained first. Brilliantly talented people can be in organizations that are successful, but if you look at the quality of their meetings, it’s not very good. This is good news. You have people are already good and successful with very little meeting skills. I was with a leadership team from Brazil at a retreat, and they asked me how they could be better at virtual meetings. I asked to first see them work together face-to-face for 2 hours while they were together. They picked a few topics to work on, and I took notes. At the end of the two hours, I told them, “the truth is you have no chance virtually because you're terrible when you're sitting in the same room.” They all laughed. Here’s a group that's really effective in terms of managing their business, yet when they meet in the same room they don't have the ability to have a high quality conversation. People said things that offended others, some people got defensive, some people argued, and the leader spent more time trying to manage the conversation than sitting back and listening or noticing when he should offer a different perspective. People were multi-tasking, they had their technology out, and somehow it didn't occur to them that the conversation they were having wasn't useful. They thought that a spirited conversation where you could say whatever you wanted would move the organization forward. We’re not teaching process skills in the MBA classes or university. Engineering schools have no time in the curriculum for any soft skills on relationships, conversations, being effective, managing personal time. Graduates are hitting the workplace basically with a profound ability to work on problems and no ability to interact with anybody. How do you suggest dealing with an individual who talks too much or dismisses other people's ideas without creating a major dust up? If you're unwilling to say something in the moment or to the person later, then it's up to you to make it work. Most times in life I think we should pass on giving people feedback - we should just make it work. Let’s say someone interrupts or goes on and on, and I'm leading the meeting. I give them my full attention, as though they were not a problem. I want to do that two or three times. If you and I interact with somebody about their behavior in a meeting, they're likely to be OK with it. What we have to watch out for are the people who were watching. Even if their colleague is not respecting the group, if you take the colleague on too early, they will side with the colleague. The first couple of times I'm going to make it work no matter what. Also, if this is somebody I'm not committed to or I don't have permission to give them coaching, my only option is to make it work. Permission gates are important. Always try to ask someone for permission to give them feedback on something, knowing you might need to. I like small groups and open seating like horseshoe arrangements. Within 8 feet, people act differently and are more conscious of their speaking. I also like the ability to get close to people. When you walk into a meeting room, notice if the room is set up properly for the conversation. Then tell them what they are doing – dominating the conversation or going on far longer than people need to get the point. Let them know that over time, people are no longer listening, they’re losing the respect and/or attention of the group, and you want them to be aware of that. We've all had really tough feedback, usually from bosses, that we can look back on and say we’re glad we were told. We may not have liked it at the time, took it very personally, or gotten upset, but when we look back 5, 10, or 15 years later, we recognized that the feedback made us who we are today. You want to consider that feedback is a gift - most people do not get it. If you look at what holds people back - their body language is misinterpreted, they use language that’s offensive, they dominate conversations, they’re not reliable - there is a good chance they’ve never been told. It seems like a lot of deep issues you're describing actually relate to relationships and behavior, so why focus on fixing meetings? Dealing with behavior that is not supported is something you and I have to deal with, yet most of us have been raised to avoid conflict, so we don't have that skill. If there’s only 4 or 5 of us, we feel like friends, we can sit close enough that we feel intimate, we can sense all of the non-verbals, etc. Small groups almost always turn out more successful, where you do not need as much deliberate process. I personally like threes and fours as the most effective group conversation. I even like it better than 1-on-1. It's more public, it's got more power, it's safer than one-on-one conversations or large groups. How can we improve conversations at home? What can you help us with in terms of meetings that don't go well? I wrote my latest book trying to get at this whole notion of meetings, but clearly perspective, relationship, and conversation are all more important than meetings. Meetings are simply a subset in which all those things get expressed. We thoroughly enjoyed working with Paul on this webinar, on his template series, and attending his in-person workshop. We find the ideas he shared coming up in our conversations over and over again, and know this will impact our perspective going forward. Thank you, Paul. We hope you found this useful, too, and encourage you to learn more from and about Paul Axtell's work on his blog at paulaxtell.com.